Ever thought of keeping bees in your homestead? Whether you’re a hobby farmer, backyard beekeeper, or a homesteader wanting to begin a small business, it’s pretty easy to learn the buzz on bees. Read on and I’ll teach you the basics I’ve followed when I was just getting started with beekeeping. Keeping bees goes through the popularity with times. And in case you haven’t noticed, keeping bees is the “in” thing to do. I still remember how anxious and nervous I was when I started keeping bees. However, as time flew by, it got easier and fun to deal with. Collecting honey has become one of my favorite tasks here in my homestead. And of course, I don’t want you to miss anything because keeping bees is truly rewarding. Before getting started, consider reading this whole post to have an insight and a bit of inspiration. It is essential that before getting your bees, you study all about them. There are plenty of keeping bees’ books around and getting to know these sweet insects can provide vital help to get started with your hives. Read and study as much as your time allows and once your bees arrive, you’ll be up and ready to keep your bees. Since honey is the main produce of bees, it is important you understand how bees make honey so you’ll be able to provide them the exact nourishment they need to produce only the best honey. Knowing exactly how a beehive works and what the bees do is essential. Bees create nests in nature, travel to blooms and draw nectars. They then take the nectar to the hive and comb where it gradually becomes honey. In beekeeping, a couple of subtle elements can be particular to your area. The nature of keeping bees implies that you’ll be successful if you have a solid local resource to draw on — somebody who can come to check your hive or help you with everything. Connect and locate your local beekeeping associations. Attend gatherings. There are few associations who offer mentors, who can be priceless in helping you in your first season. 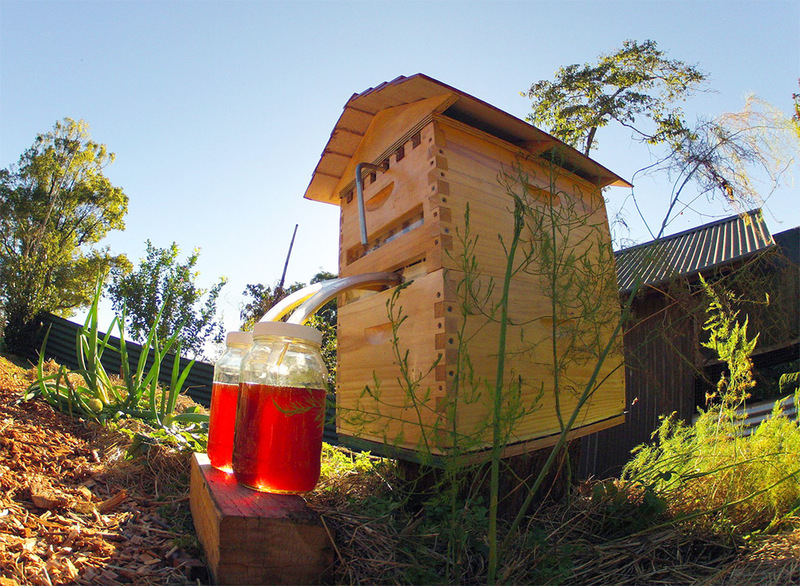 Learn how to set up your beehive. In keeping bees, you’ll require a beehive. In nature, bees create their own hive, normally in an empty tree trunk or other protected areas, yet it can be anywhere. For a backyard beekeeper, like me, you’ll need to create a man-made hive in order for you to help your bees maintain the colony and easily gather the honey. What is included in dealing with keeping bees? The same with gardening, keeping bees’ tasks are separated each month or season. The perfect time to begin your hive is during spring so that the colony of bees you start with has room to build-up. Lay brood (infant honey bees), an increment in number, and store honey before the winter sets in. What are the tools I need to begin keeping bees? Find out the important supplies and what you can manage without for the time being. Keep in mind: begin little, so you can have room for adjustments if you need improvements or if you change your mind later. Now that you have more knowledge on keeping bees and have gathered your beekeeping supplies, it’s now time to purchase your bees! To purchase a honey bee, you can choose between “package bees” and a queen, or a nuc colony. A nuc colony is a set of bees that has a queen who has already started laying brood. It is more established and can provide your hive a head start. There you have it, my fellow homesteaders, that’s how easy it is to get started with keeping bees. Keeping bees is a wonderfully rewarding and relaxing pastime. It does not consume much of your time nor does it break your bank in the process. The taste and health benefits of natural honey, plus the relaxing factor on caring for your own bee colony is all worth your effort. So what’s stopping you from becoming a beekeeper? Have you found some inspiration to get started with keeping bees? I’m excited to know! Let me know in the comment section below. Want to try keeping bees but space is a problem? Solve that issue with this DIY Mason Jar Beekeeping!